In this work, effects of concentrations ranging from 0 to 500 mg/L of some 2-aminothiazole derivatives such as 4,4’-(disulfanediylbis(methylene))bis(thiazol-2-amine) dihyrochloride (DMTA) and 2-amino-4-(chloromethyl)thiazole hydrochloride (ACT) on glutathione reductase from baker's yeast (Saccharomyces cerevisiae) (GR) were investigated. With exposure of 25, 50, 100, 250 and 500 mg/L concentrations, % GR activity changes were calculated as -5.29 ; -3.85 ; -2.40 ; -6.73 and -10.58 in DMTA applications, while these changes were calculated as +0.98 ; 0.00 ; -0.49 ; -2.45 and 0.00 in ACT applications, respectively. This work indicated that there was a slight decrease in GR activity with the increase of DMTA concentrations and there was no significant change in GR activity with the increase of ACT concentrations. But according to control activities, no statitistical changes were observed in GR activities with exposure of these 2-aminothiazole derivatives (p > 0.05, n=3). Bu çalışmada, 2-Aminotiazol türevleri olan 4,4’-(disulfanediylbis(methylene))bis(thiazol-2-amine) dihyrochloride (DMTA) ve 2-amino-4-(chloromethyl)thiazole hydrochloride (ACT)’in 0 dan 500 mg/L ye değişen derişimlerinin ekmek mayası (Saccharomyces cerevisiae) glutatyon redüktazı (GR) üzerine olan etkileri araştırılmıştır. 25, 50, 100, 250 ve 500 mg/L derişimlere maruz bırakılma ile % GR aktivitesindeki değişimler, DMTA uygulamalarında sırasıyla -5,29 ; -3,85; -2,40 ; -6,73 ve -10,58 olarak hesaplanırken, ACT uygulamalarında sırasıyla +0,98; 0,00; -0,49; -2,45 ve 0,00 olarak hesaplanmıştır. Bu çalışma, DMTA derişimlerinin artışı ile GR aktivitesinde hafif bir düşüş olduğunu ve ACT derişimlerinin artışı ile GR aktivitesinde önemli bir değişimin olmadığını göstermiştir. Ancak kontrol aktivitelerine göre, bu 2-aminotiazol türevlerinin etkileştiği GR aktivitelerinde herhangi bir istatistiksel değişim gözlemlenmemiştir (p > 0,05, n = 3).
.	Ghaemmaghami S., May B.C.H., Renslo A.R. and Prusiner S.B., Discovery of 2- Aminothiazoles as Potent Antiprion Compounds, J. Virol., 84-7 (2010) 3408–3412.
.	Siddiqui H.L., Zia-Ur-Rehman M., Ahmad N., Weaver G.W. and Lucas, P.D., Synthesis and Antibacterial Activity of Bis[2-Amino-4-Phenyl-5-Thiazolyl] Disulfides, Chem. Pharm. Bull., 55-7 (2007) 1014–1017.
.	Kesicki E.A., Bailey M.A., Ovechkina Y., Early J.V., Alling T., Bowman J., Zuniga E.S., Dalai S., Kumar N., Masquelin T., Hipskind P.A., Odingo J.O., Parish T., Synthesis and Evaluation of the 2-Aminothiazoles as Anti-Tubercular Agents, Plos One, 11-5 (2016) e0155209.
.	Lin P., Hou R., Wang H., Kang I. and Chen L., Efficient Synthesis of 2-Aminothiazoles and Fanetizole in Liquid PEG-400 at Ambient Conditions, J. Chin. Chem. Soc., 56-3 (2009) 455–458.
.	Kim K.S., Kimball S.D., Misra R.N., Rawlins D.B., Hunt J.T., Xiao H.Y., Lu S., Qian L., Han W-C., Shan W., Mitt T., Cai Z.W., Poss M.A., Zhu H., Sack J.S., Tokarski J.S., Chang C.Y., Pavletich N., Kamath A., Humphreys W.G., Marathe P., Bursuker I., Kellar K.A., Roongta U., Batorsky R., Mulheron J.G., Bol D., Fairchild C.R., Lee F.Y. and Webster K.R., Discovery of Aminothiazole Inhibitors of Cyclin-Dependent Kinase 2: Synthesis, X-Ray Crystallographic Analysis, and Biological Activities, J. Med. Chem., 45-18 (2002) 3905–3927.
.	Halliwell B., Gutteridge J. M. C., Free Radicals in Biology and Medicine. 3rd ed. New York: Oxford University Press, 1999; pp 143-144.
.	Deponte, M., Glutathione Catalysis and the Reaction Mechanisms of Glutathione-Dependent Enzymes, Biochim. Biophys. 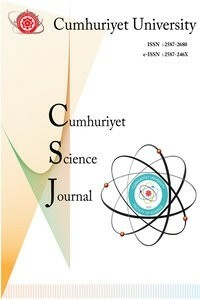 Acta., 1830 (2013) 3217–3266.
.	Karabıyık H., Kırılmış C., Karabıyık H., Geometry Dependence of Electron Donating or Accepting Abilities of Amine Groups in 4,4’Disulfanediylbis(Methylene)Dithiazol-2-Amine: Pyramidal Versus Planar, J. Mol. Struct., 1141 (2017) 650-659. .	Lowry O.H., Rosebrough N.J., Farr A.L., Randall R.J., Protein Measurement with the Folin Phenol Reagent, J. Biol. Chem., 193 (1951) 265–275.
.	Carlberg I. and Mannervik B., Purification and Characterization of the Flavoenzyme Glutathione Reductase from Rat Liver, J. Biol. Chem., 250-14 (1975) 5475–5480.
.	Karadag H., Bilgin R., Effect of Cyprodinil and Fludioxonil Pesticides on Human Superoxide Dismutase, Asian J. Chem., 22-10 (2010) 8147-8154.
.	Huang X., Cheng C.C., Fischmann T.O., Duca J.S., Richards M., Tadikonda P.K., Reddy P.A., Zhao L., Siddiqui M.A., Parry D., Davis N., Seghezzi W., Wiswell D., Shipps Jr G.W., Structure-Based Design and Optimization of 2-Aminothiazole-4-Carboxamide as a New Class of CHK1 Inhibitors, Bioorg. Med. Chem. Lett., 23 (2013) 2590–2594.
.	Vogt D., Weber J., Ihlefeld K., Brüggerhoff A., Proschak E., Stark H., Design, Synthesis and Evaluation of 2-Aminothiazole Derivatives as Sphingosine Kinase Inhibitors, Bioorgan. Med. Chem., 22 (2014) 5354–5367.
.	Saeed A., Mahesar P.A., Channar P.A., Abbas Q., Larik F.A., Hassan M., Raza H., Seo S.Y., Synthesis, Molecular Docking Studies of Coumarinyl-Pyrazolinyl Substituted Thiazoles as Non-Competitive Inhibitors of Mushroom Tyrosinase, Bioorg. Chem., 74 (2017) 187–196.